Want to know one of the most relevant twelve-word statements of clear-cut counsel that the Lord has given us? 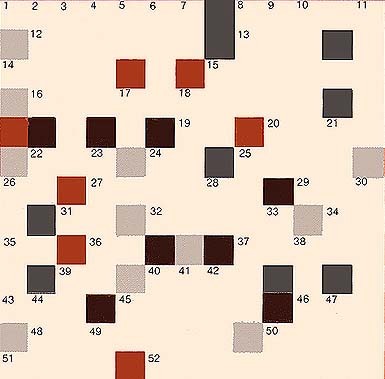 Discover for yourself by working the crossword puzzle, then reading in succession the answers to across numbers 12, 13, 16, 22, 24, 25, 31, 32, 39, 40, 48, and 50. 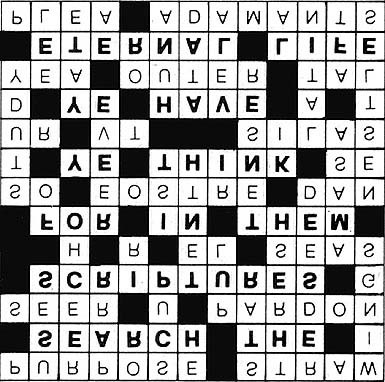 To doublecheck your answers to “A Puzzlement” hold this up to a mirror and turn it upside down. Read in the mirror the correct solution.